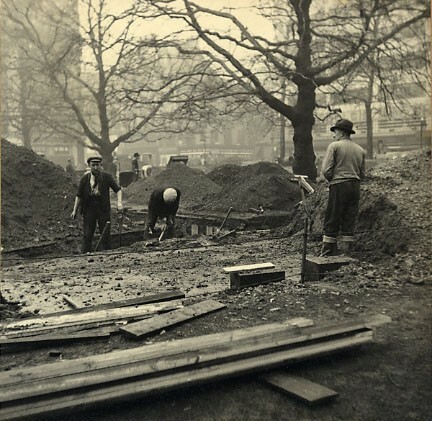 At 3.30am on 16 October 1940, a parachute mine struck Leicester Square W1 (origins 1632). 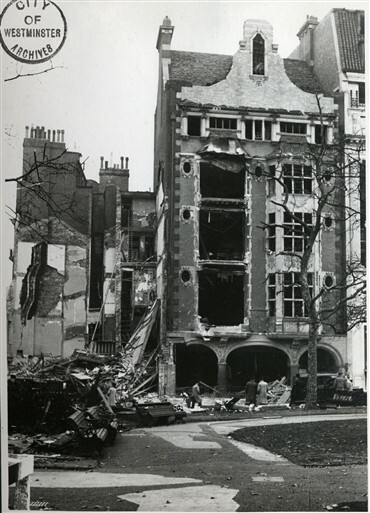 It hit next to Thurston’s billiards house (built 1903) and above the Perroquet restaurant, demolishing the Square's south-western corner. 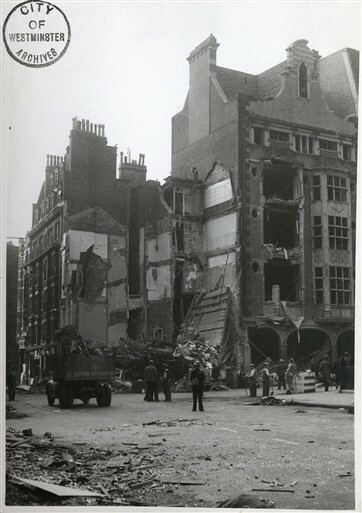 Thurston’s was destroyed and several taxis parked outside were wrecked. Heavy debris fell into Panton Street, blocking it. Damage was limited to this single corner. The adjacent headquarters of the Automobile Association (AA) survived intact. A few yards away, the concrete and steel-reinforced Leicester Square Theatre suffered only superficial damage. On the north side of the Square, a bomb shelter in the basement of a drapery store, used by taxi-drivers and their families, also escaped destruction. 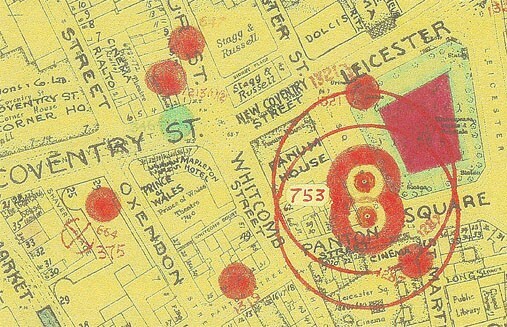 A key Control Room based under the Square (which regulated heavy emergency gates in Underground stations close to the Thames) continued to operate normally. Thurston’s had gone for good. 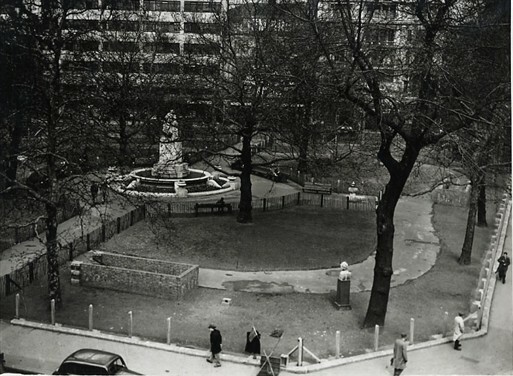 In his diary entry for 16 October, Winston Churchill's Assistant Private Secretary John Colville described Leicester Square as 'a desert'. But only two minor injuries were reported. Two ARP wardens on duty that night were spectators to the entire Leicester Square incident. They witnessed the incoming mine and resulting blast from the roof of a nearby building. Athough they were blown to the opposite end of the roof both survived. 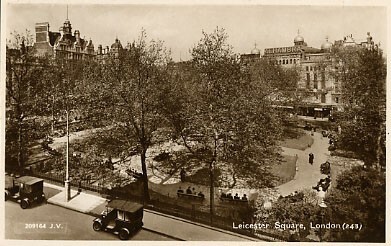 On 17 April 1941 a high explosive bomb struck trench shelters in Leicester Square causing casualties and badly damaging the Square's north eastern corner.